The Champion Racing Association powered by JEGS released the 2016 schedule for the ARCA/CRA Super Series powered by JEGS on Wednesday. The season will consist of 16 races, with 15 being points events. The season will be the 20th of competition for the Template Super Late Model touring series that first raced in 1997. The 2016 season kicks off with the traditional non-points opener for both the ARCA/CRA Super Series Powered by JEGS and the JEGS/CRA All-Stars Tour with SpeedFest 2016 at Watermelon Capital Speedway in Cordele, Ga. on Jan. 30-31. The ARCA/CRA Super Series race will be a 200-lap event, counting yellow flag laps up to lap 175, with a halfway break at lap 100 for teams to make adjustments and change tires. This event has traditionally attracted the best Super Late Model drivers from both the North and the South in this early season battle. The series will kick off its point season on April 8-9 at the famous Fairgrounds Speedway in Nashville, Tenn. The ARCA/CRA Super Series will crown its champion with the 45th running of the prestigious Winchester 400 on Sunday, Oct. 9, in its second visit of the season to Winchester Speedway. 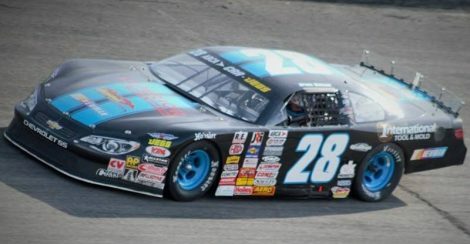 Jan. 30-31 – Watermelon Capital Speedway – Cordele, Ga.
April 8-9 – Fairgrounds Speedway Nashville – Nashville, Tenn.
May 7 – Anderson Speedway – Anderson, Ind. May 21 – Baer Field Speedway – Fort Wayne, Ind. May 29 – Illiana Speedway – Crown Point, Ind. June 18 – Berlin Raceway – Marne, Mich.
July 16 – Anderson Speedway – Anderson, Ind. Aug. 10 – Kalamazoo Speedway – Kalamazoo, Mich.
Aug. 27 – Flat Rock Speedway – Carleton, Mich.
Sept. 4-5 – Winchester Speedway – Winchester, Ind. Oct. 8-9 – Winchester Speedway – Winchester, Ind.